Rafa Nadal has weighed in on the escalating drama in Australian tennis, urging the public to not take sides until they know all the relevant details. Nadal was asked for his opinion on the falling out between Lleyton Hewitt and Bernard Tomic after his third round victory over Australia's Alex de Minaur at Melbourne Park. As expected the Spanish star didn't delve too deep into the brewing conflict, telling media at his post-match press conference he shared a friendship with both players. “I don’t know all what’s going on out there,” Nadal said. “I have a good relationship with Bernard, I have a good relationship with Lleyton. “I don’t know. It would be more normal if they sit and they talk more than do this thing here in the media, of course. “But is out of my business and is out of what I really know. The two have engaged in a war of words all week with the latest development suggesting the pair may face off in court. 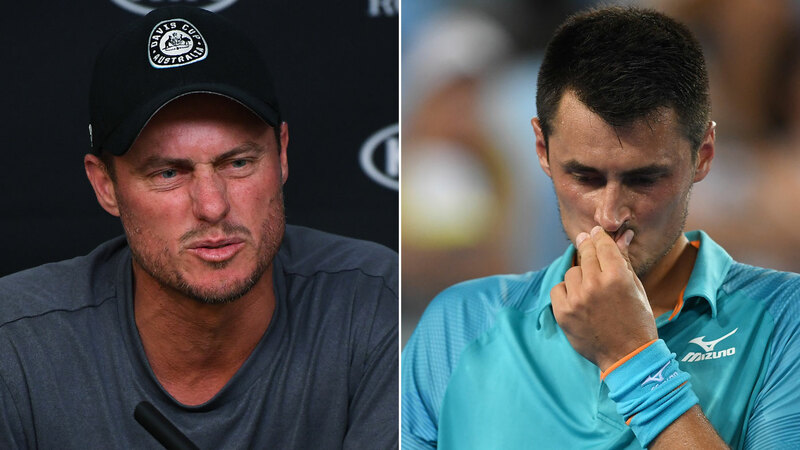 Bernard Tomic's father says he will begin legal action against Hewitt over an alleged Davis Cup incident that happened nine years ago. Although he was hesitant about the issue, Nadal stressed that these types of matters are best thrashed out in private rather than the media. The Spanish tennis legend has had a comfortable Melbourne park campaign so far at the expense of Australian competitors, with the 32-year-old reaching the last 16 by solely playing Aussies. He defeated James Duckworth and Matt Ebden in the opening rounds but said he felt that the local crowds didn't hold it against him. “My feeling is people here understands the sport. People here love the sport,” he said. “I really enjoy atmosphere here. People go to see the sport in a good way. They respect the opponents. I think Australians don’t see me like an opponent. “I have been always friend from Australia. I think I always supported this month. I love playing here. “I love playing the Fast4 in Sydney every year that I can. I try to be ready for Brisbane. Was not the year for me. I am sad to not play there. But I was there during the whole week practicing. “I love being out here. I think the fans appreciate that I feel close to them. I feel a good connection with all the people there.